The General Cocktail features iced tea as its main ingredient. 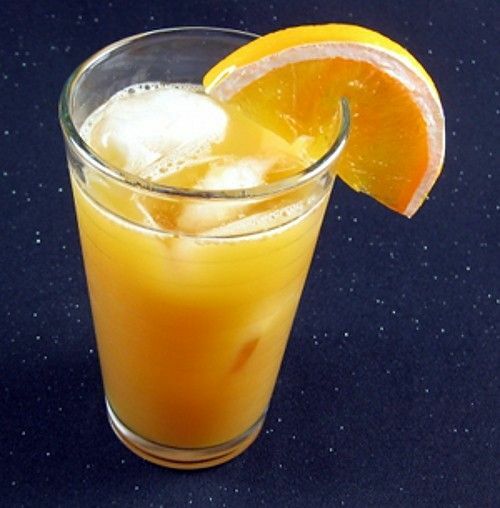 To that, it adds vodka, orange juice and a touch of grenadine. The end result is a really enjoyable flavor that’s just slightly fruity, but with that nice bitterness that comes from the tea. I recommend using unsweetened tea because the orange juice adds enough sugar to sweeten it. Fill a cocktail shaker halfway with ice cubes, and pour all your ingredients into it. Shake until chilled. Fill a highball glass with ice. Strain the mixture into the highball glass.